Are you new to genealogy? If so, then you probably have a lot of genealogy research questions. Some genealogy-related questions are more common than others. 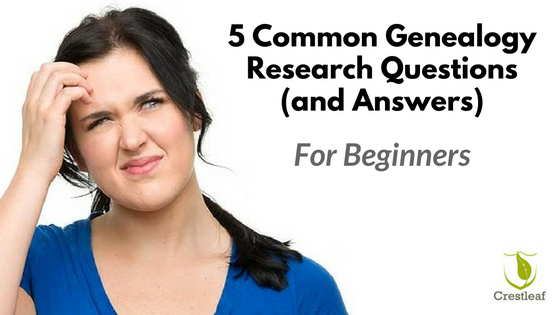 Here are answers to a few of these important questions to help you along your genealogy research journey. 1. How do I begin researching my family’s history? The best way to start tracing your family tree is to begin with yourself. How far back can you trace your own history? Grab a pen and paper and begin writing down the names of your family members. You may have lost touch with some of them, and some may have passed on, but brainstorming will help you discover how certain relatives fit into your family tree. Write down everyone that you can remember, then share these names with your living family members who may be able to help you fill in some empty branches. 2. How do I start building a family tree? Creating a family tree is probably one of the most enjoyable parts of genealogy research. Because your family tree will be shared with other family members or genealogists, you will want to make it look great. Whether you want to print out a physical family tree template, use family tree software, or build an online family tree, there are nice and creative options that can get you started right now. Tip! Online family tree builders allow you to collaborate with family members and preserve your family’s legacy for a lifetime. 3. What is the meaning of my surname? Did you know that many family surnames evolved and continue to evolve over time? This means that your surname might have multiple variations and meanings. This is also why it’s important to understand the origin of your surname. Finding your surname’s origin can help you discover much more about your ancestors, including where they came from. Sometimes, finding the meaning of your last name can be as simple as looking at its suffix — but it can also be much more complicated. Online surname search tools like Behind the Name may aid you in uncovering your last name’s history and etymology. 4. Am I related to a famous person? Did your grandma tell you that you’re related to a former POTUS? Perhaps you’ve heard that a famous celebrity is a distant cousin. Whatever you’ve heard from your family, or even if you share a surname with a famous person, you will want to verify the information. In order to figure out if you have a famous relative, you must repeat tip number one: begin with yourself and ask your family members for more information. Plus, famous family trees can often be found online. Try searching through FamousKin.com. Perhaps you will find that the stars do align after all! 5. Where can I find vital records? Finding (or not finding) vital records such as marriage records, birth records, and death records can make or break your genealogy research. Thankfully, there are many helpful guides to help you locate these records online and elsewhere. If you get stuck and need help, the world’s largest family history research firm Genealogists.com is only a phone call (888-509-1130) or email away.Before you begin looking for vital records, you will first want to ask your family members if they have any documents in their possession. If so, the information about certain ancestors could be within arm’s reach! What other genealogy questions would you like the world’s largest family history firm to answer? 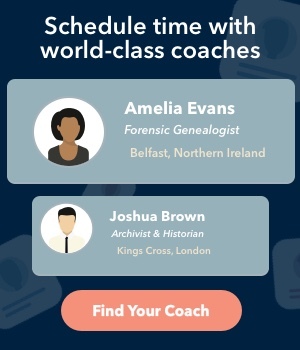 How can we best help you learn about your ancestors? This entry was originally posted in Genealogy 101 and tagged building a family tree, family history tips, genealogy tips on November 4, 2016 by Natalie L.